When the Joseon King Jeongjo moved his father's tomb to Suwon at the end of the 18th century, he surrounded it with strong defensive works, laid out according to the precepts of an influential military architect of the period, who brought together the latest developments in the field from both East and West. The massive walls, extending for nearly 6 km, still survive; they are pierced by four gates and equipped with bastions, artillery towers and other features. Lorsque l'empereur Chongjo, de la dynastie Choson, a transféré le tombeau de son père à Suwon à la fin du XVIIIe siècle, il l'a entouré d'importants ouvrages défensifs conçus selon les préceptes d'un influent architecte militaire de l'époque, qui alliait les dernières découvertes de l'Orient et de l'Occident en ce domaine. Les remparts massifs, qui s'étendent sur presque 6 km, percés de quatre portes et dotés de bastions, de tours d'artillerie et d'autres éléments, subsistent toujours. عندما قام الامبراطور سونجو من سلالة شوزون بنقل ضريح والده الى سوون في نهاية القرن الثامن عشر، عمد الى إحاطته بمنجزات دفاعية هامة انبثقت من مفاهيم مهندس عسكري شهير كان يوفق بين أحدث اكتشافات الشرق والغرب في هذا المجال. ولا تزال الأسوار الضخمة الممتدة على نحو 6 كيلومترات والتي تتخللها اربعة ابواب وأبراج بارزة وأبراج مدفعية وعناصر أخرى قائمة حتى اليوم. Когда в конце XVIII в. Чонджо, король государства Чосон, переместил могилу своего отца в Сувон, он окружил этот город мощными укреплениями. Они были воздвигнуты согласно рекомендациям известного специалиста по фортификации того времени, которые базировались на самых последних достижениях в этой области, как стран Востока, так и Запада. Сохранились массивные стены протяженностью почти в 6 км, которые имеют четверо ворот, бастионы, артиллерийские башни и другие оборонительные устройства. Cuando el emperador Chongjo, de la dinastía Choson, trasladó a finales del siglo XVIII la tumba de su padre a Suwon, decidió rodearla de sólidas fortificaciones. Éstas fueron diseñadas según las directrices de un eminente arquitecto militar de la época, que tuvo en cuenta los últimos adelantos del Oriente y el Occidente en materia de arquitectura militar. Todavía subsisten hoy las macizas murallas de casi seis kilómetros de largo de la fortaleza construida, con sus cuatro puertas, bastiones y torres de artillería. Toen koning Jeongjo van de Joseon dynastie het graf van zijn vader verhuisde naar Suwon aan het einde van de 18e eeuw, omringde hij het met sterke vestingwerken. Deze werden aangelegd volgens de voorschriften van een invloedrijke militaire architect uit die periode en de nieuwste militaire architectuurontwikkelingen van Oost en West samenbracht. De massieve muren van het Hwaseong fort – die zich uitstrekken over bijna 6 kilometer – zijn bewaard gebleven. Ze zijn voorzien van vier poorten en uitgerust met bastions, artillerietorens en andere functies. Het fort heeft een grote invloed gehad op de ontwikkeling van de Koreaanse architectuur, stedenbouw, landschapsarchitectuur en aanverwante kunsten. Hwaseong is a piled-stone and brick fortress of the Joseon Dynasty that surrounds the centre of Suwon City, of Gyeonggi-do Province. It was built in the late 18th century by King Jeongjo for defensive purposes, to form a new political basis and to house the remains of his father, Crown Prince Jangheon. The massive walls of the fortress, which are 5.74 km in length, enclose an area of 130 ha and follow the topography of the land. The Suwoncheon, the main stream in Suwon, flows through the centre of the fortress. The walls incorporate a number of defensive features, most of which are intact. These include floodgates, observation towers, command posts, multiple arrow launcher towers, firearm bastions, angle towers, secret gates, beacon towers, bastions and bunkers. There are four main gates at the cardinal points. The Paldalmun Gate in the south and the Janganmun Gate in the north are impressive two-storey wooden structures on stone bases, flanked by gated platforms and shielded by half-moon ravelins built of fired brick. They are linked to the main road running through the complex. The west (Hwaseomun) and east (Changnyongmun) gates are single-storey structures, also protected by ravelins. The Hwaseong Fortress has had a great influence on the development of Korean architecture, urban planning, and landscaping and related arts. It differed from the fortresses in China and Japan in that it combined military, political and commercial functions. Its design by Jeong Yakyong, a leading scholar of the School of Practical Learning, was characterized by careful planning, the combination of residential and defensive features, and the application of the latest scientific knowledge. It represents the pinnacle of 18th century military architecture, incorporating ideas from some of the best examples in Europe and East Asia. Hwaseong is also unique in that it covers both flat and hilly land, making use of the terrain for maximum defensive efficacy. A completion report for the building of Hwaseong Fortress, Hwaseong seongyeok uigwe, was published in 1801, which provides the details and particulars about its design and construction process. Criterion (ii): Hwaseong Fortress represents the pinnacle of 18th century military architecture, incorporating the best scientific ideas from Europe and East Asia brought together through careful study by scholars from the School of Practical Learning. It demonstrates important developments in construction and the use of materials that reflects the interchange of scientific and technical achievements between the East and West. The fortress had a great influence on the development of Korean architecture, urban planning, and landscaping and related arts. Criterion (iii): Hwaseong combined traditional fortress building methods with an innovative site layout that enabled it to deliver defensive, administrative and commercial functions. Hwaseong is a testimony to the rapid social and technical developments of 18th century of Korea. The key features of the Hwaseong Fortress, including the main walls, four main gates and various other defensive features of the complex are intact and are included within the boundaries of the property. The Suwoncheon Stream continues to flow through the heart of the city from the Hwahongmun Floodgate and the roads linking the main gates still function as the core of the road system. The fortress originally comprised 48 elements, including the cardinal gates, floodgates, observation towers, command posts, multiple-arrow launcher platforms, embrasured firearms bastions, angle towers, secret gates, a beacon tower, gate-guard platforms, bastions and bunkers. Seven of these (one floodgate, one observation tower, one secret gate, two gate-guard platforms, and two bunkers) have been lost due to flooding and war. The meandering fortress wall has been pierced in nine places to accommodate the city’s traffic network. The fortress is in good condition, but its conservation and maintenance require specialized skills. The greatest risk factor to Hwaseong is fire, which could damage the wooden components of its architecture. Another risk is weeds, which could damage the fortress walls and other features. Rapid urbanization has meant that the four cardinal gates are exposed to smog and vibrations from vehicles in nearby streets, which could lead to their deterioration and should be managed. The circuit of walls and most of their elements (gates, towers, bastions, etc.) preserve their authenticity with respect to the site, materials and techniques. Considerable damage was caused to some parts of the Fortress during the Korean War. The Janganmun and Changnyongmun Gates were completely destroyed, and sections of the walls were demolished. However, restoration and reconstruction work, which began in 1964 and has continued since that time, has been carried out in accordance with the principles of the Venice Charter and Nara Document, based on the exhaustive information contained in the Hwaseong seongyeok uigwe. The Hwaseong Fortress has been designated as a State-designated Cultural Heritage under the Cultural Heritage Protection Act. The Paldalmun Gate and Hwaseomun Gate have also been designated as Treasures and the area enclosed by the fortress walls has been designated as a protection area under the same Act. A buffer zone extending 500 m from the fortress walls has been created, and a Historic Cultural Protection Area has been established under the Gyeonggi-do Province Cultural Heritage Protection Ordinance. These designations require that all interventions receive official authorization and that only qualified personnel carry out restoration and conservation work. The Suwon City World Cultural Heritage Hwaseong Management Ordinance regulates visitation and usage of Hwaseong and its associated facilities. 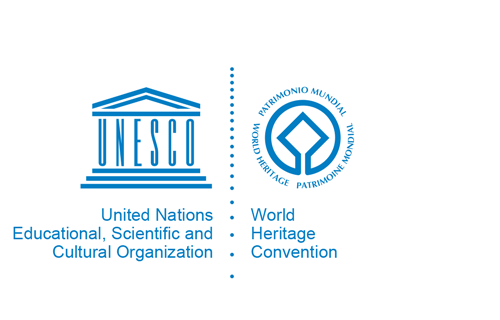 At the national level, the Cultural Heritage Administration (CHA) is responsible for establishing and enforcing policies for the protection of Hwaseong and the surrounding areas, and allocating financial resources for its conservation. The periodically revised District Unit Plan of Suwon City sets limitations to the building coverage ratio, floor space index, and height of structures within and outside of the fortress. Criteria to guide alterations to the property are also employed. The Hwaseong Management Office, with approximately 30 employees, is in charge of day-to-day management. Regular day-to-day monitoring is conducted and in-depth professional monitoring is carried out on a 3 to 4 year basis. The Suwon Hwaseong Management Foundation established under the authority of the Suwon City Ordinance, is responsible for operating the facilities, profit-generating projects at the site and the promotion of tourism. Conservation work in Hwaseong is undertaken by Cultural Heritage Conservation Specialists who have passed the National Certification Exams in their individual fields of expertise. There are CCTVs and a 24-hour surveillance system with regular day and night patrols around the fortress. Personnel are allocated for the regular removal of weeds. A scientific survey of all remaining un-restored sections of the fortress is planned, and research is being conducted into measures to prevent collapse resulting from vehicle vibrations.